Mesh vents, reinforced hems, and taped seams all for an affordable price! Simple pant adds slimming look. Features rear pocket. Relaxed fit and denim-like fabric that give urban style, but technical performance for any skiing condition. Ski pants capable of keeping you warm for endless park runs. Insulated men's snowpants for all-day warmth and comfort. Water-resistant snow pants built for adaptability and comfort. Lightweight, versatile, and water resistant cover-all style snow pants that meet all of your mountain needs. 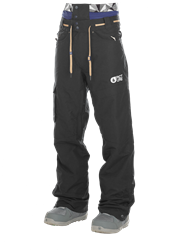 Nylon full body snowsuit loaded with features to meet all of your mountain needs.